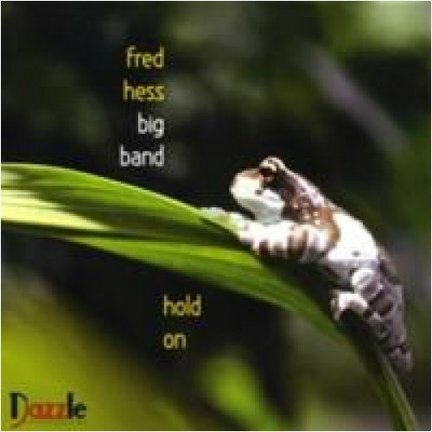 Fred Hess has never met a re-harmonized chord, or a free exploration, or a wide-open dissonant voicing he didn’t like. On his 14th album as leader, you’ll meet all of the above, and then some. The multi-faceted tenorist/arranger from Denver — where he’s Director of Music Composition at Metro State College — has been itching for years to express his avant-garde inclinations in the context of a big band. For nearly a decade, he experimented with what became the nucleus of the 16-piece band heard here: trumpeter Ron Miles, bassist Ken Filiano and drummer Matt Wilson. Don’t think for a moment avant is all you’ll hear. Hess is too curious an artist to confine himself to one genre, or even one era. Take the coupling “Sicillienne/Greensleeves.” The first is by French impressionist Gabriel Fauré; the second, an ancient modal English folk tune. Hess treats both with reverence, turning the first into a gentle jazz waltz featuring himself on tenor, and trombonist Nelson Hinds, then juxtaposes the second as an impressive showcase for bassist Filiano.The very next track, “Opposites Attract,” tends to go “outside,” after Filiano takes an excellent bowed solo. Trumpeter Miles expands the harmonic edge to the limit, while drummer Wilson provides appropriately muscular punctuation. 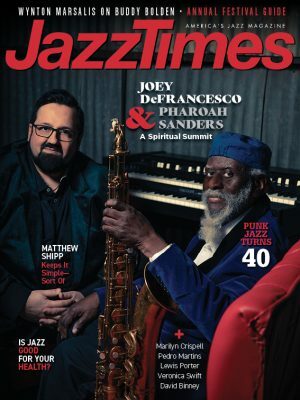 The title tune is a somewhat retro throwback as Hess and Dominic Lalli engage in a tenor battle.” A Night to Remember” allows Hess to pay homage to his “original sax hero,” Bill Perkins. An unusual “medley” of Gary McFarland tunes, “Pretty Little Gypsy”/ “Chuggin’,” finds the first dominated by a sax soli filled with interesting passing tones, while the second Hess labels “a creative extension in the spirit of Anthony Braxton” that begins with a walking motif that accelerates into a wild free episode before returning to the playful chugging rhythm. More Braxton in “RBHM-KNNK,” and even more free playing, but what stands out most are the non-stop “comments” by drummer Wilson, bassist Filiano; the clever solo work of pianist Marc Sabatella, and the brilliant arranging by Hess, particularly behind altoist John Gunther, but in general for Hess’ orchestral adaptation from Braxton’s quartet album, New York, Fall 1974. Gunther’s blowing is the solo highlight of the CD. The controlled chaos of “The Clefs Visit Grandma’s” is a humorous mini-tone poem that includes all the sidemen playing freely, en masse, but the only action you’ll be able to identify accurately is an (uncredited) cat simulating a howling dog. Marion Brown Quartet: Why Not?